Arrive early for a Chobe Boat Cruise from Kalahari Tours (additional cost) and meet the rest of the group at 12.30pm. Chobe to Savute is approximately a 4-6 hour drive via the village of Kachikau. From here we drive on 4×4 tracks through the Chobe Forest Reserve via Gcoha Gate. We arrive in Savute around midday for lunch. A dominant feature of Savute is the Hills, one of which has a few preserved San Bushmen paintings which are easily accessible on your afternoon game drive. 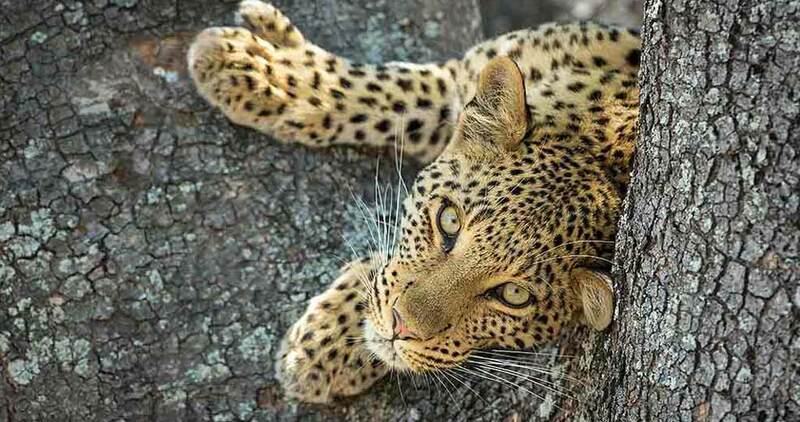 Savute has a healthy population of leopard who live on the hills & the best time to see them is either first or last light. The Savute Channel now flows into the marsh for the first time in over 30 years turning the Savute Marsh into a veritable paradise for birds & animals. Departing Savute early morning, the drive takes 4-5 hours but is hugely dependant on local conditions and arrive in Moremi around midday for lunch. You will spend the afternoon on Game Drive. Moremi area is one of the most beautiful and varied reserves found on the African continent with huge diversity of wildlife and incredibly beautiful scenery. We camp for the night in either the Khwai, Xakanaxa, 3rd Bridge or South Gate area. 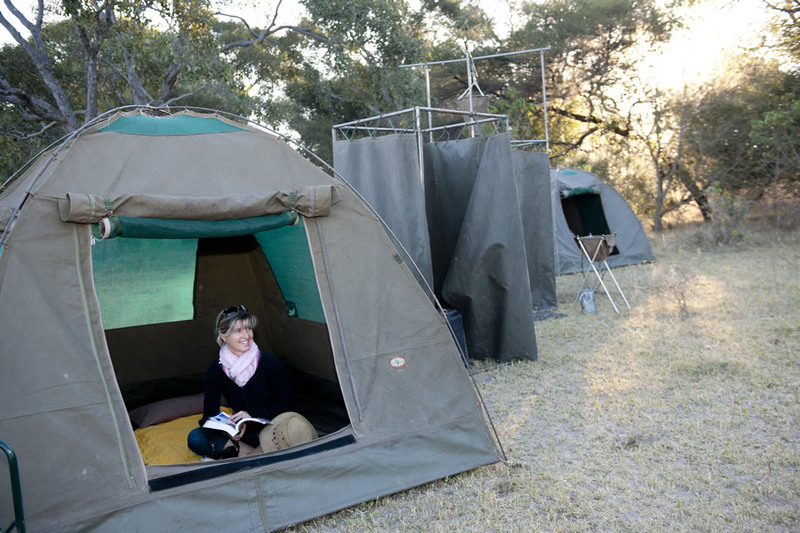 The campsite for the night will be in the Moremi Game Reserve or the surrounding community managed wildlife management area. Moremi Game Reserve to Maun is approximately a 4-5 hour drive. 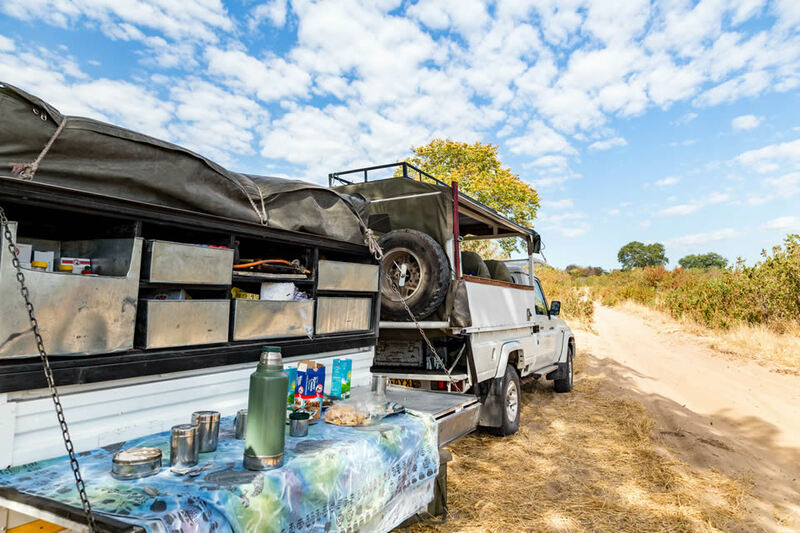 The safari packs up & leaves camp following an early morning game drive and will enjoy a picnic lunch en-route to Maun arriving mid to late afternoon. Maun is the gateway to the Okavango Delta. Today we venture out into the ‘Delta’ in mekoros (dug-out canoes) experiencing the myriads of waterways and secret lagoons. The mekoros are poled by polers from the local villages. The Delta is a huge inland water system dotted with thousands of islands that are a haven for a diverse array of wildlife. This is a unique environment where dry land and water collides. The group will leave Maun early morning and spend 3-4 hrs. In the delta and return to Maun between 2-3pm. 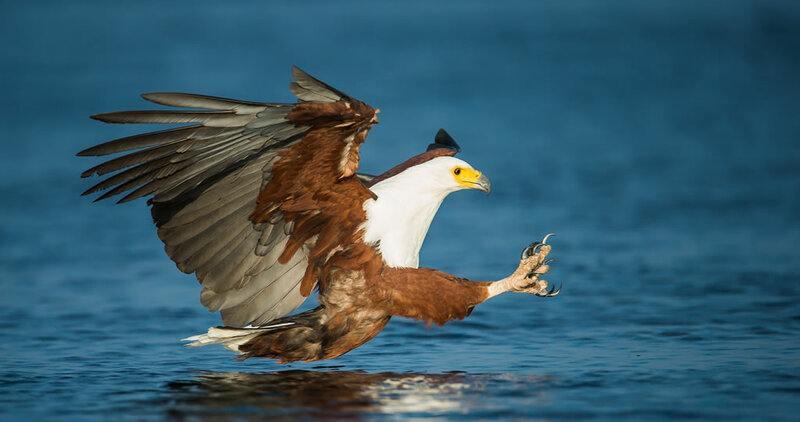 Optional activities include a scenic flight over the Okavango Delta in a fixed wing aeroplane or helicopter. Alternatively a horse ride can be arranged. A scenic flight is highly recommended as it gives you a bird’s eye view of the Okavango Delta. From Maun we travel to the Makgadikgadi Salt Pans approximately a 4-6 hour drive – vast shimmering salt flats on the edge of the Kalahari basin. 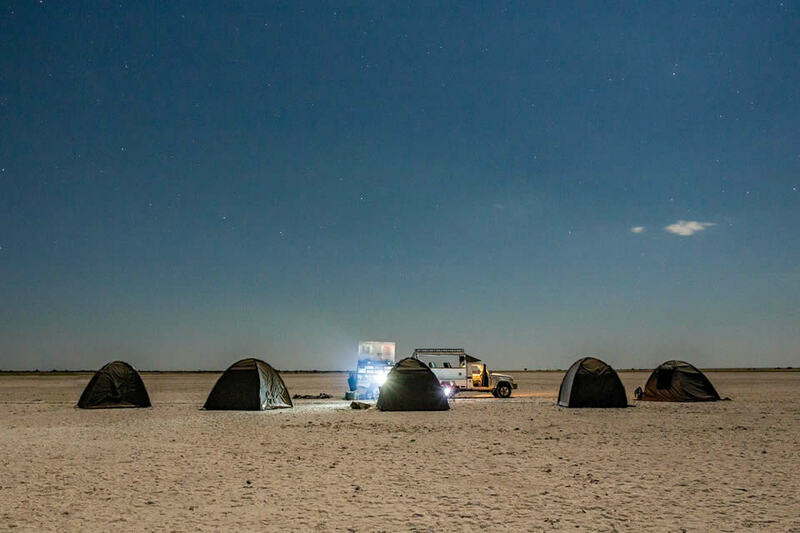 The highlights of the Makgadikgadi vary dependant on the season and local conditions. 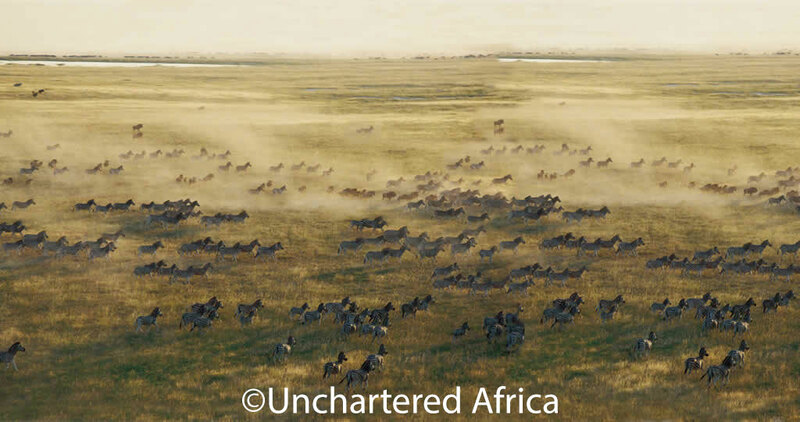 The safari goes in search of the zebra migration along the Boteti River or will explore Nxai Pan famous for the movie “Roar Lions of the Kalahari“. The last night is spent sleeping out under a blanket of stars. The drive from the pans to Kasane is approx 350km which takes roughly 4-6 hrs. This is a transfer to reach the Zimbabwe border at approximately 1 pm and back in Kasane Kalahari Tours Office at 2 pm. The safari will pack in the morning and head for Kasane via Nata. We pass through an agricultural area known as Pandamatenga, which is the only crop producing area in Botswana. Look out for elephant and sable antelope between Pandamatenga and Kasane. Although we make every effort to adhere to schedules, itineraries and activities, these are subject to change in light of changing local conditions (weather and roads) as well as availability. You will be notified accordingly. 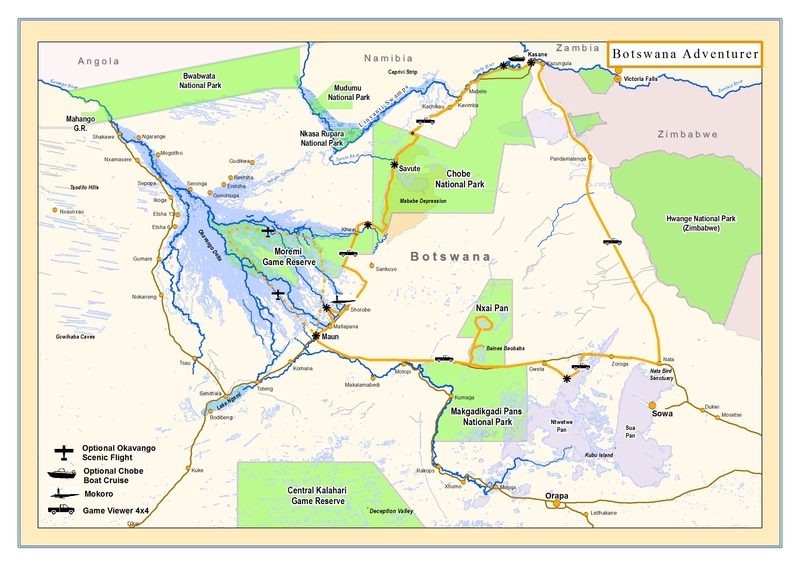 Rates are subject to National Park increase by Botswana Government without prior notice. Full participation is required including tents, showers and toilets. 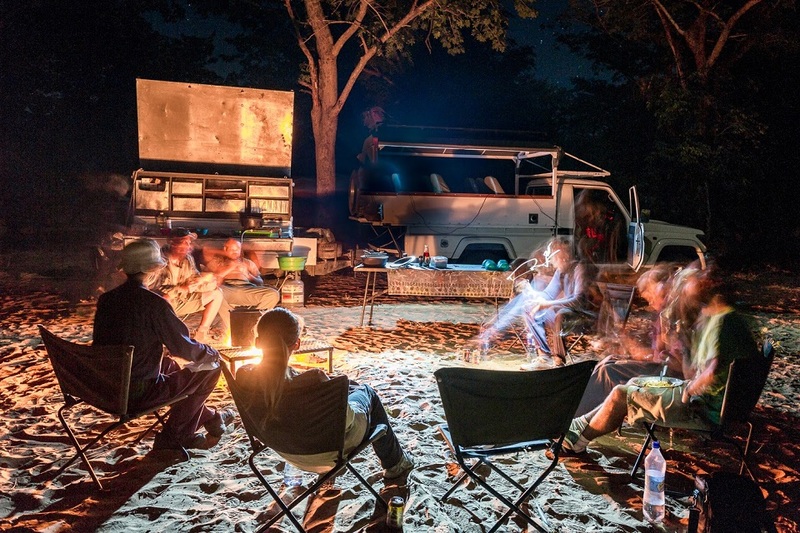 This tour visits the best of Botswana’s Northern Parks and Reserves in a 7 day circular route be advised that you will spend a large amount of time in the vehicle. We do cater for vegetarians however please ensure we are notified prior to arrival. The roads and tracks in Northern Botswana are seldom maintained and generally very rough and bumpy. The campsites are unfenced wilderness campsites with no facilities. Toilet facilities in camp is a “long drop” latrine which is erected each day in camp. Showers are bucket showers and water may not be available every day. Minimum 2 persons with a maximum of 9 persons per departure. 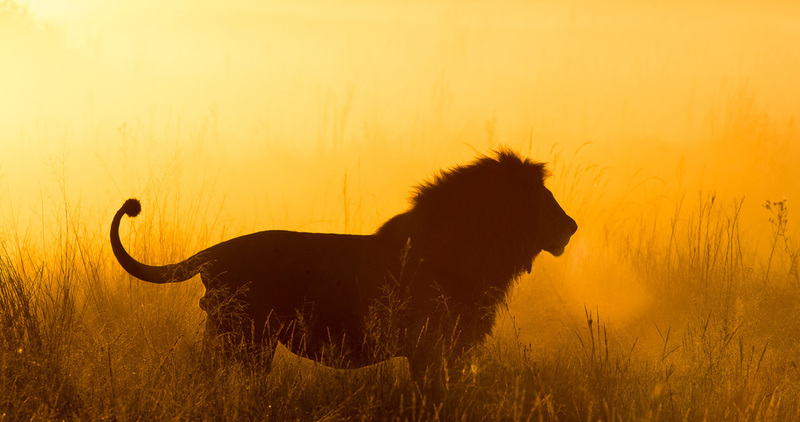 Savute needs no introduction – Many of Botswana’s famous wildlife documentaries have been filmed here and is renowned for its lion prides that bring down elephants. The Savute Channel is a vivid contrast between wet and dry ecosystems.